Organic food sales increased by 20% in Scotland last year. Scottish organic food and drink sales rose by 11.7% last year, outperforming sales across the rest of the UK. The figures, which are contained in the Soil Association’s 2017 Organic Market Report, mark the second year of growth in the Scottish market which was worth an estimated £57.8million in the year to September 2016. The report also revealed that across the UK sales of organic food and drink in supermarkets and independent retailers grew by 6.1% and 6.3% during 2016. Home delivery sales were up 10.5%, while sales of organic produce into the foodservice market increased by 19.1%. 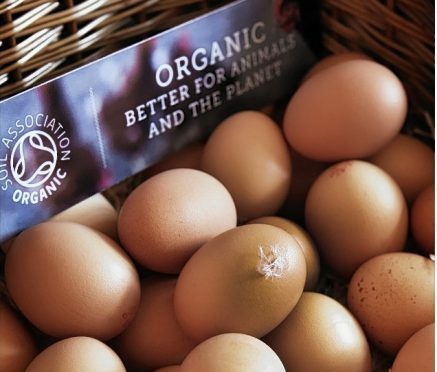 The report also found that nearly 60% of all Soil Association certification licensees expect their sales to remain steady in 2017, with all Scottish independent stores surveyed expecting organic sales to increase this year. Rural Economy Secretary, Fergus Ewing, welcomed the rise in organic sales.